Do you sometimes find yourself giving away stuff that you really need because there is no space to store it? If this is the case, you are not alone; many people living in modern cities have to part with their property because they don’t have space to store it. This does not have to be the case; if you have a garage. A bit of some creativity can turn your garage into a great storage space where you can get everything you need when you need it. Also, you don’t really have to find a handyman to turn your garage into this great storage space if you follow the DIY garage storage ideas we have created here. It’s difficult for many people to let go of stuff. There is always that nagging feeling you are going to need it in the future. This can lead to clutter in your garage. So, how do you know that something is no longer useful? If you haven’t used it in the last six to twelve months, you probably no longer need it. Once you have decided which stuff you need to keep will these DIY ideas be useful to you. Stand in your garage and look above your head; what you see there is prime real estate. If you are not using the ceiling space, it’s actually going to waste. 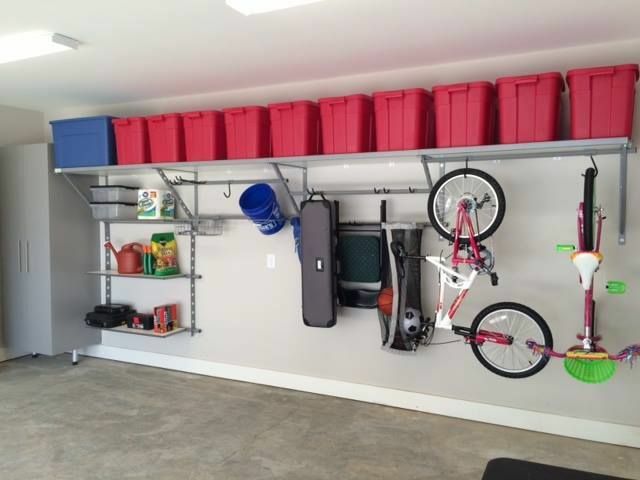 Some of the stuff you can store on your garage ceiling includes decor which you only use on a seasonal basis, building supplies, equipment you use for sports, and outdoor furniture. The stuff you need in order to start using the ceiling as a storage space is actually simple and easy to install. For instance, adding some hooks to the ceiling can allow you to hang such equipment as ladders and other tools you use in your garden. Just ensure everything is secure. 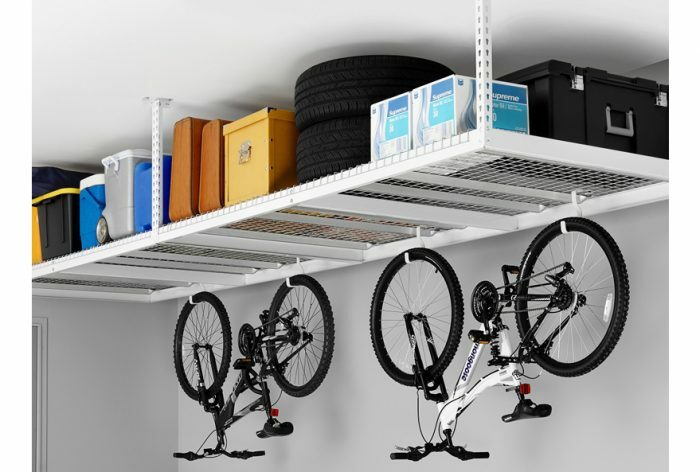 Look at your garage and identify space against the wall that’s free for you to build a storage rack. By doing this, you are turning the wall into another space which is as big as your garage floor. To start building the shelves, you need to have an idea of the design you want; according to the amount of space you have. Design the shelves on paper and decide the measurements. This will give you an idea of how your shelves will look while also telling you the amount of material you’ll need. If you are technologically inclined, you can add detail to your sketch using tools found on the internet such as Google Sketchup. As you measure, always ensure that you leave enough space for the car. It’s easy to get carried away and only notice once you have finished that the space for the car is no longer enough or even if you are able to place the car inside the garage, you are no longer able to get out. Once you are clear about the measurements, clear the place where you are going to place the shelves. When you start cutting your material, it’s always advisable to follow the adage “measure twice, cut once.” You don’t want to end up with lots of wasted material. Pegboards on the wall are great for small stuff. They are good if you are looking for a solution to organize small tools and also any other things that you need often and want to know where to find them. 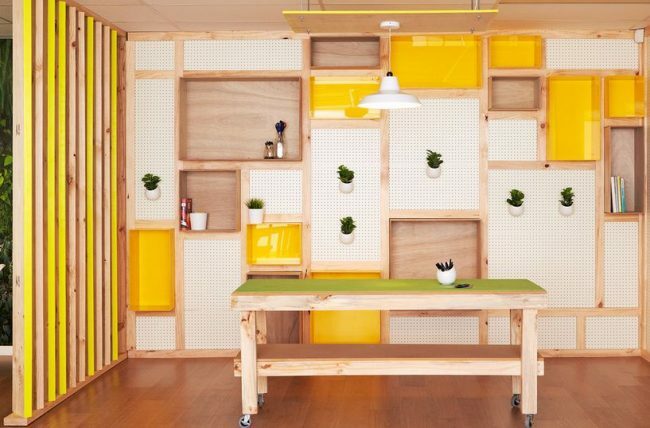 The advantage with pegboards is that they accommodate different storage systems such as boards, hooks, and shelves. Also, this method ensures that all the items you store are in plain sight so there is no wasting of time looking for stuff. This is a great advantage when storing those small things which you spend lots of time looking for. 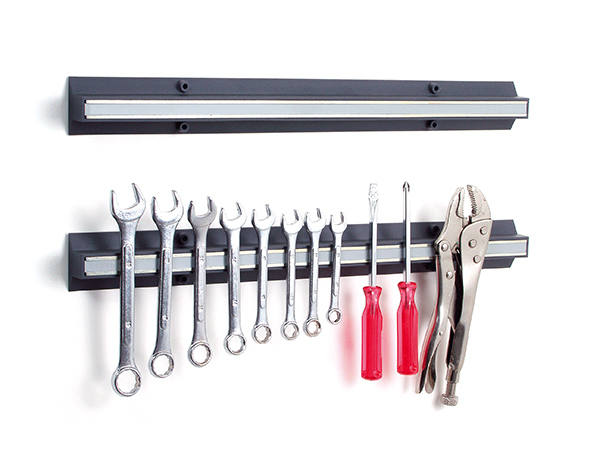 Pegboards are not only easy to install, they are also cheap to buy. In a garage that has exposed studs, the pegboard can simply be screwed to the studs. If you have ever used magnetic knife racks in your kitchen, you can extend this to storage in the garage. Magnetic storage is used for storage of things made from metal such as DIY tools like screwdrivers, nails, and drill bits. It keeps all the things you need where you can see them, and well organized. Mount the magnetic strip along the wall by using a wooden frame to support it. 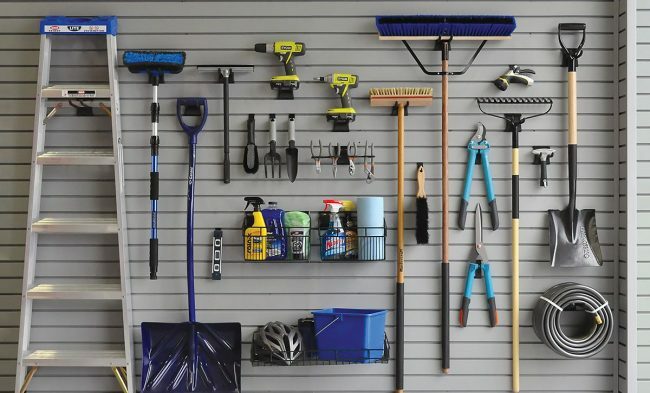 Leftover PVC pipes can be used for the storage of gardening tools in your garage. Mostly, you are looking at those tools such as racks, brooms, and spades. To use this method, start by mounting two planks horizontally across the wall of the garage where you want to store the tool. These planks can be about half a meter apart. Cut the PVC pipe into pieces about ten centimeters each. As you cut your pipe, do so at an angle so that you have access to screw them on the plank you have mounted on your wall. Attach the cut pieces on the pipe on both the bottom and top planks enshrining that the top and bottom pipes line up properly. Now you can place your gardening tools with their heads on the upper side. It doesn’t matter how good you are at these DIY storage ideas if you are not organized. 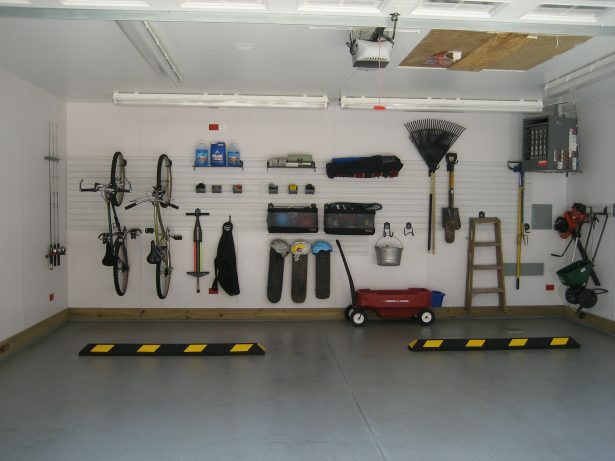 Once you have put the idea into place, ensure that your garage is properly organized. If you use something, always remember to put it back where you took it. Using labels could also be a great method of ensuring that you know where everything is. If you are going to do any work for yourself in the garage, always ensure that you follow safety precautions. If you don’t know how to do something, find someone properly qualified to help you.